Yesterday during the IU Purdue game (or as I like to call it a wonderful afternoon, winning the one game of the year we have to win as Hoosiers) the boys finished the slide project. The next part of our family history project is to scan the many pictures of Barb’s mom Joan Ralstin and the pictures she and I took before going all digital for camera’s in roughly 2001. 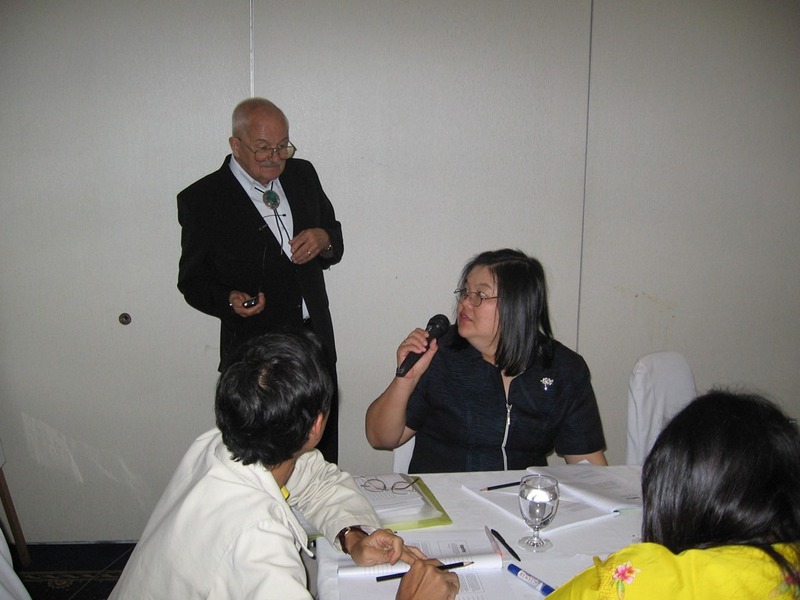 Here is dad teaching in Chang Mai (formerly the Northern Capital of Thailand). It seemed strange the morning not to have the scanner humming as we have moved it out of the space it was in and temporarily put it away. It will be nice to finalize all the pictures and give them to my family. I took over as family photog in 2002 or so. 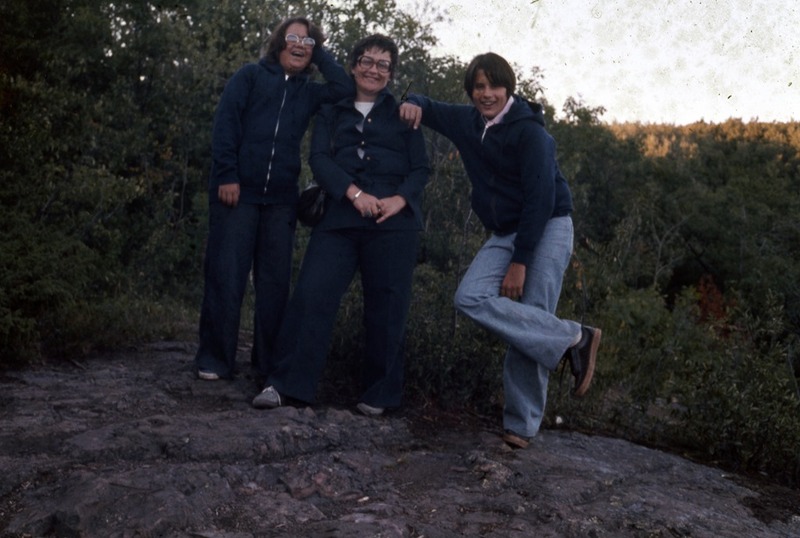 I realized during this project that there were hundreds of images never seen by me, mom, Lynne or Barb, Well now that I think about it I suspect we had seen maybe 1200 of the images and slides over the years. That left more than 9000 slides including all of Grandfather Andersen’s that we hadn’t seen. So that will soon be over. Additionally the many hundreds of pictures I’ve taken at family events will be added so that we can all see all the pictures. I am not as good a photographer as my father. But like my father I have great subjects to take pictures of and about. 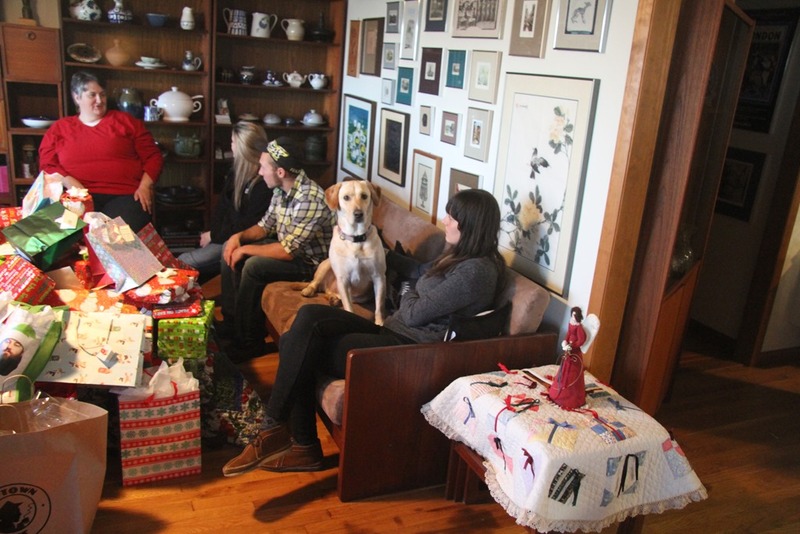 This is Dylan trying to figure out whey all of us were running around the house last year around Christmas (2013). He got to come with us to Grandpa and Grandma’s house. Dylan loves vacations. He is a really hard dog to photograph as you can take 100 pictures of him and you just don’t capture the essence of the being. A Buddhist monk whose temple was on our old walking path used to say that Dylan was an old soul. He actually used to let Dylan come into the outer part of the temple. Dylan would sit and watch as his friend got out the tiny rice candies he loved. Personally I find a lot of peace in Buddhist temples. This next picture is going to get me in trouble but I can’t help it. The goal is to share pictures now, to let them out into the wild so that other’s can enjoy them and hopefully find some value in them. Dogs are not allowed on Grandma’s good couch. Dylan figured that meant the other four dogs that lived in the house. There was no way that Grandma meant Dylan wasn’t supposed to be on the couch. 2914 has been as much a year to forget as any year in the past 10. To many transitions and changes have filled this year. On this last day of November 2014 I can say I done with 2014. I am ready to move to 2015. That is the year of sharing pictures. I promise to post event and family pictures here on my blog at least twice a month. Mixed in with the huge backlog of technology reviews I haven’t done in a long time. From time to time going forward I will share my father’s images such as the first one. I will share my Grandfather’s images as well. The rest of this year and next year start my new sharing campaign. Before the days of Internet and before the widespread world of television we took vacations where the goal was to see interesting things. 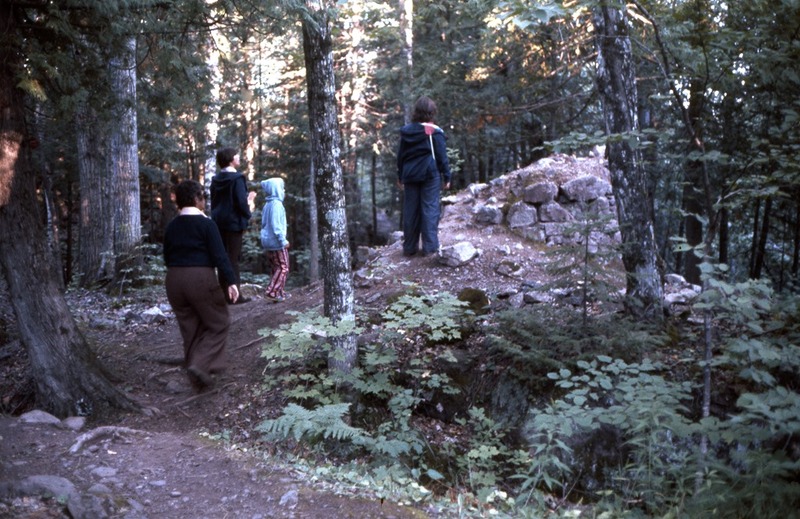 My father loved vacations that combined hiking, beautiful scenery and ultimately something fun to watch. We rented a cabin in the UP of Michigan. Near a place called Porcupine Mountain State Park. We spent a little over a week there (and 2 days getting there and back). This is my father’s sense of humor. Our big entertainment event? 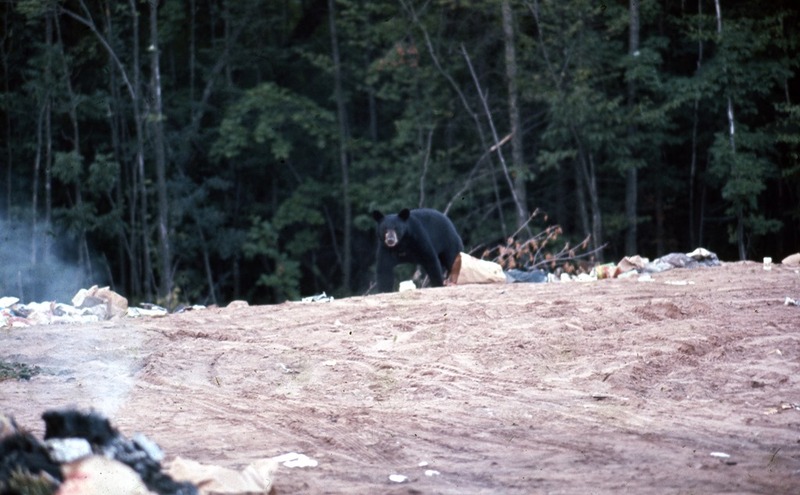 Seeing Black Bears eating human waste at the dump. We sat safely in the car about 200 yards away while dad snapped pictures of the Black Bears. So, without further adieu here are the bears. I have no idea where Barb was for this picture. Same location (UP of Michigan) same time and year (sometime in the mid-to late 1970’s). The smiling face on the left is my sister Lynne. The smiling facing in the middle is my mother and I am the clown on the right side of the picture (as you stare at it here on the screen). In the end most of those vacations were a blast. We spent a lot of time in the woods and hiked and saw amazing things on the many hikes. Still my favorite walking quote is “Hans don’t take pictures of me.” Sandra R. Andersen. Knowing the mind set of the family during these long hikes I suspect we are all looking for trails end. Depending upon my teenage mood I often started looking for trails end right after taking the first step. Sometimes even before taking the first step. In this case you see all of us (except dad). I learned later when I took over taking family event pictures the value of being the photographer. You never have your picture taken when you are the one taking all the pictures. 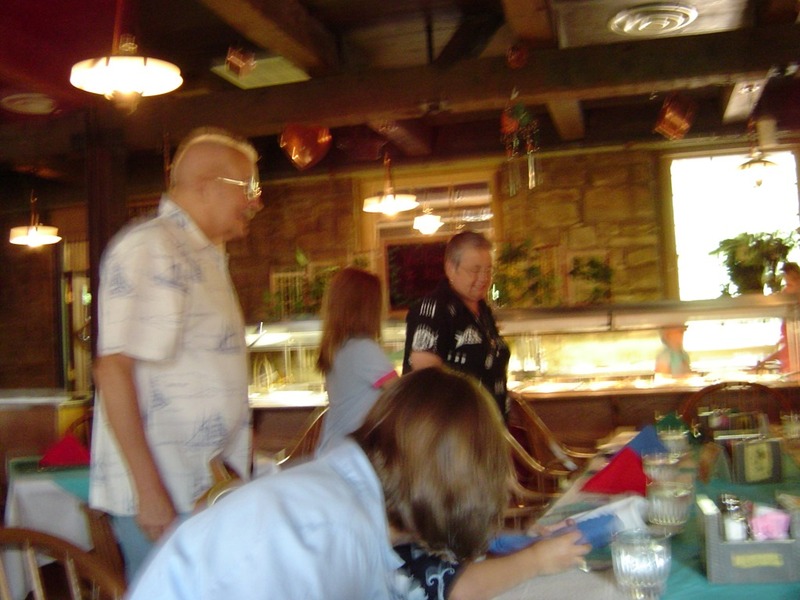 So starting in 2001 I disappear from photos and only are seen on the rare occasions when one of my kids took pictures. I also appear in a couple of Matt’s photos but that is mostly him taking pictures of me taking pictures of him. So its me behind my camera. The last picture in our collection of Henry O Andersen. This image was from 1972 the year he died. I remember that event. I remember it for two distinct reasons. The first is that dad left Thailand and flew home to say goodbye to his father. I remember that because dad was so sad when he got home. Interestingly later in the year 1972 my parents told me my grandfather had died. it was interesting in that at the moment they told me the song “Alone Again, Naturally” was playing on armed forces radio Saigon. I didn’t know my grandfather Andersen that well. I have isolated memories that are tenuous at best. I remember him talking about camera’s in particular pin hole camera’s one afternoon in his basement. I remember the cavalry stuff in the basement. I have two saddle bags and the picture of him preparing for WWI. I remember him taking Lynne and I to the park in Wisconsin Dells once as well. But those isolated memories are all I have left. I have in the past 5 months of our family history project seen many more instances of Henry O Andersen in my life. I guess in the end memory is a fleeting thing. Those memories we cling to early in life don’t last into the later years replaced by work and other information. Of course now looking back at images from the past I see that they both stood similarly. Arms straight at their sides as if still in the military (they both were). I have a million memories of my dad and I hope some of them came from his father, things that my grandfather may have said that my father picked up and used and later I picked up and used. A memory that would connect us. I do know that the love of taking scenic pictures with no human beings anywhere near the picture passed from Grandfather to son, to grandson. This last image of the great falls of Virginia. Yes one person that I’ve never met couldn’t identify and have no idea who it is is in the picture. 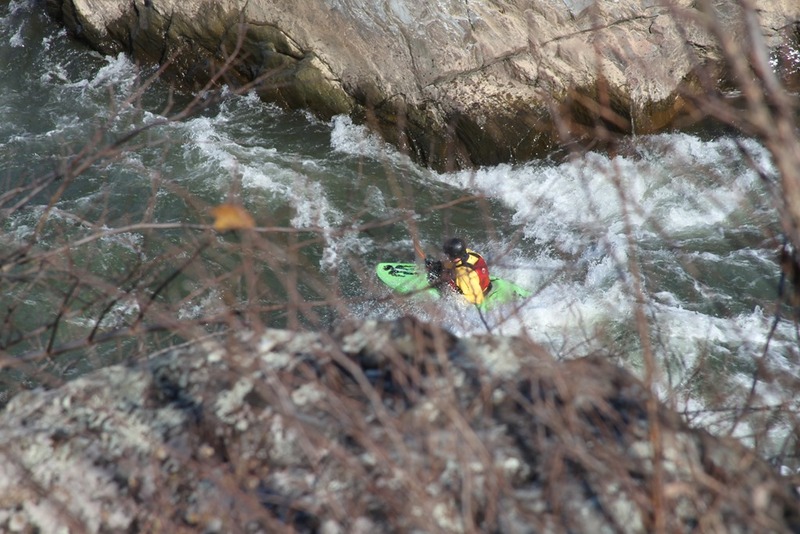 The person fighting the falls in a Kayak. I took this picture because of the majesty of the river. I took my family to this spot to read the historical markers. Directly behind where I took this picture is the C&O canal. These falls were a huge reason the canal moved away from the Potomac river in many places. The falls much to difficult to navigate for boats loaded with supplies. So I do in fact take pictures of scenic spots without people or at least without people I know. I got that via my dad and from my Grandfather. In the words of my Irish friends “Henry O Andersen was a grand man” I wish I had known him more. Happy Thanksgiving to all who celebrate the day. Our dogs call this thanks for giving the Labradors turkey and stuffing. This picture is of my father’s Aunt Mart (Martha) who was my great Aunt. After my grandfather Andersen passed away Great Aunt Mart and Grandma Andersen lived together. Great Aunt Mart was my Grandmother’s sister. 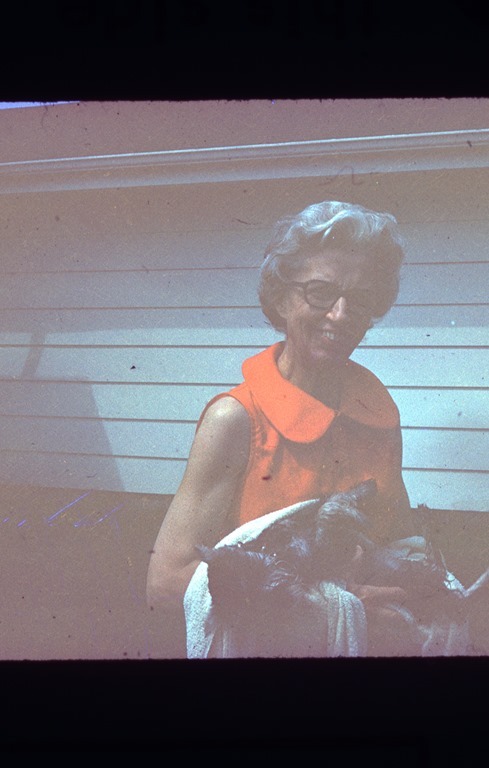 Grandma and Great Aunt Mart always had dogs. For years they had a Scottie and a couple of other types of dogs. They always had smaller dogs rather than larger ones. My grandfather Andersen decked out in his finest 1968. Some of the pictures (as you can see above for Great Aunt Mart) are damaged. They were stored in tubs and slide holders for more than 40 years. So they have over time become a little damaged. Still it is nice to have a great picture like this. 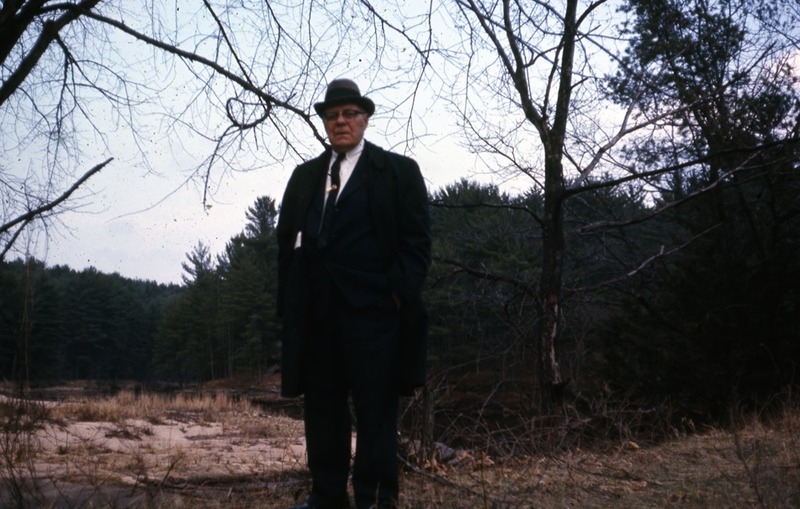 I don’t remember much about my grandfather and in doing this family history project I am finding that he was around a lot more than is in my memory. He visited us a number of times and had pictures of me from about age 1 month to about age nine. 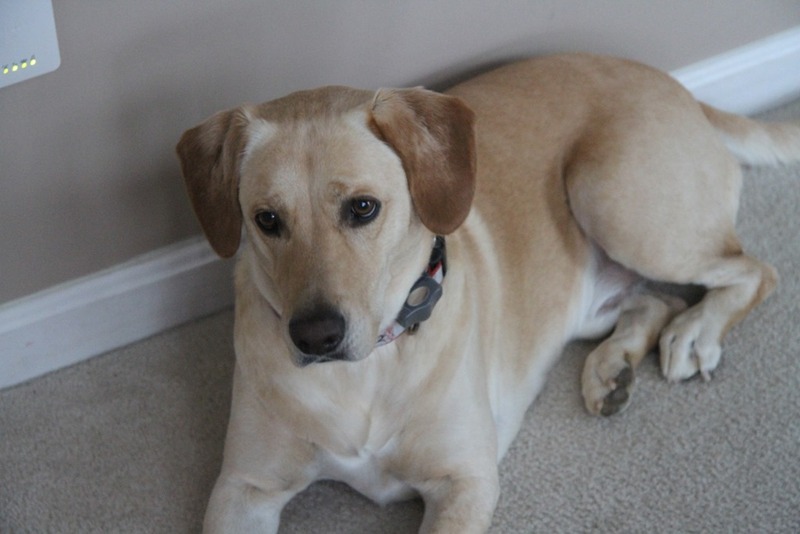 He came to see us in Bloomington, Ames Iowa, and came to see my parents when they were at the University of Michigan (Ann Arbor). This is I suspect (based on year 1968) my cousins Ricky and Kristin. 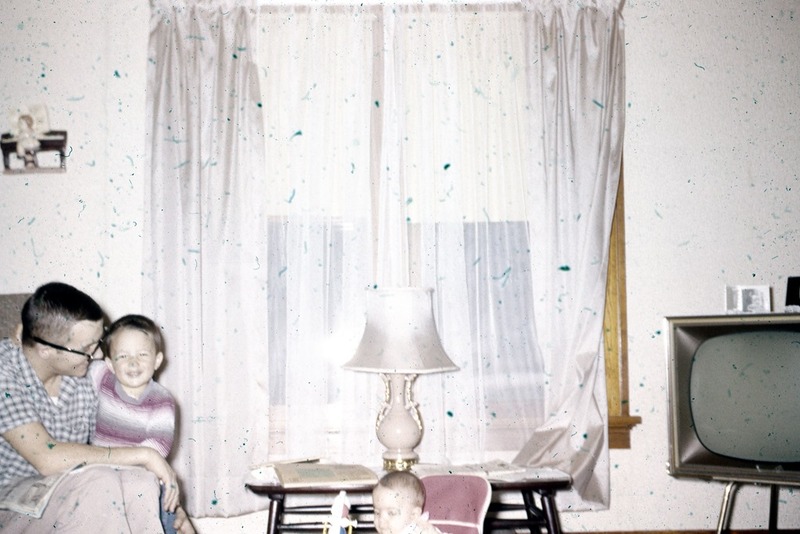 They were the children of my Aunt Dorothy. Kristin would be about the same age as Lynne. Ricky was younger than Lynne. I don’t remember much about either of them other than like Joey and Peter we visited them from time to time. Actually I only remember visiting Joey and Peter one time in Ann Arbor Michigan. I think I was maybe 5 or 6 years old. My father’s oldest sister (Barbara) was very ill so we went to say good bye) My Aunt Barb died in 1966. I have a great horror story idea based on the whole concept of being able to draw circuits. Imagine a poor person with their feet in water tied to a chair and the person torturing them draws a circuit on the leg of the chair towards their arm. Please excuse the long drawn out horror moment. I don’t often have these but they do on occasion pop out of my head. Both of the crowd funding sites slow down around the holidays mostly because a lot of campaigns are still stuck in the get it by Christmas. I also feel sorry for those campaigns that ship this time of year. Shipping services are clogged past rull right now and are running at maximum capacity so anything shipped will be delayed. It is an interesting collection of projects though. Overall other than a couple of well significant disappointments my experience with the two crowd funding sites has been positive. There are a few campaigns that need the abject reality lesson of project management (projects are delayed – assume the project will be delayed and work towards fixing the things that delay the project early). But the overall experience has been very good. Kickstarter has a cool feature I wish Indiegogo would add (did you receive the product). I would also like to see Kickstarter add a post project rating (you got the item now how do you rate it that would include how over their original timeline were they). Project Managers given the change pad their estimates. They know software architects design solutions in the perfect world where nothing goes wrong. Some of the KS and IG campaigns I’ve advised needed that lesson badly. Some of the one’s I’ve backed but not advices needed the lesson but they didn’t ask at the time. 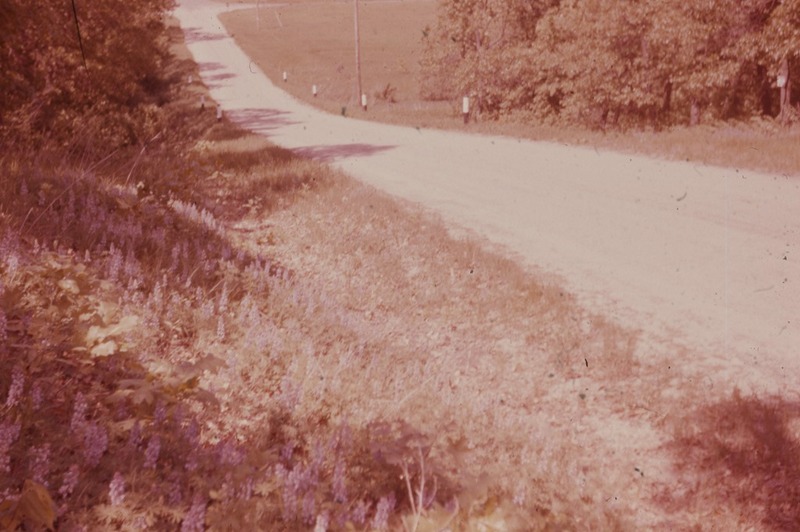 My grandfather found Robert Frost’s road less traveled. Well he found a road most likely in the Wisconsin Dells area that no one was on. This picture is from September 1962, My much younger sisters weren’t even born yet. It was just mom, dad and me. 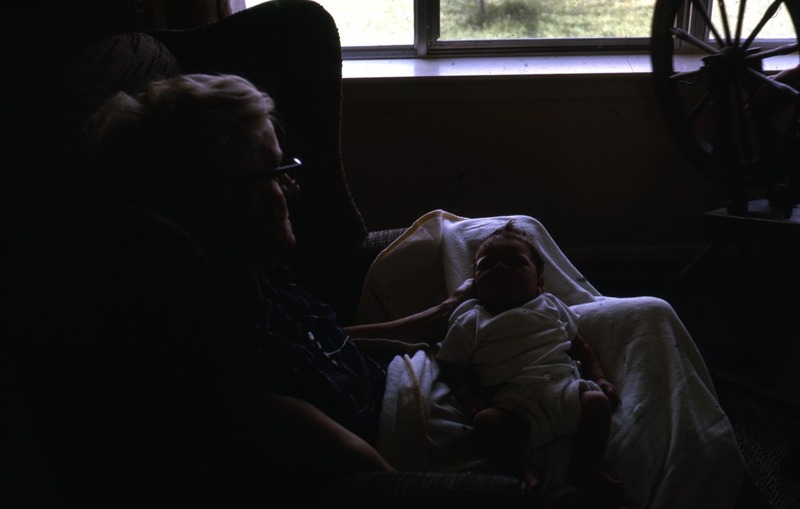 Some of the older 50+ year old slides were on the old Kodak film and have started to fade. Many worse than others. It depends on how they were stored in the end. The beauty of a digital image is that you can carefully restore these to their original. But it is also important to remember them as they are. Sometimes it is the very essence of what the photographer is capturing in the image that is critical. In this case the joy of rural Wisconsin. 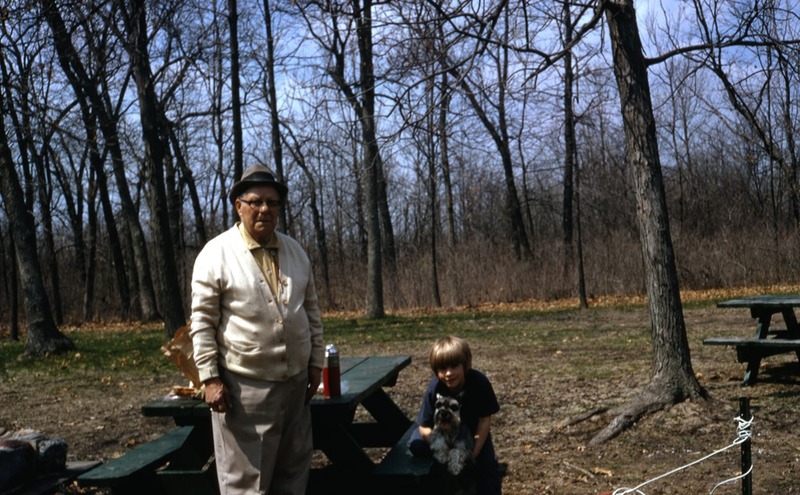 My grandfather and father both grew up in and around Wisconsin Dells Wisconsin. They were outdoors as much as if not more than they were indoors. <e pm Dad’s ;ap. I know not where I do know when. 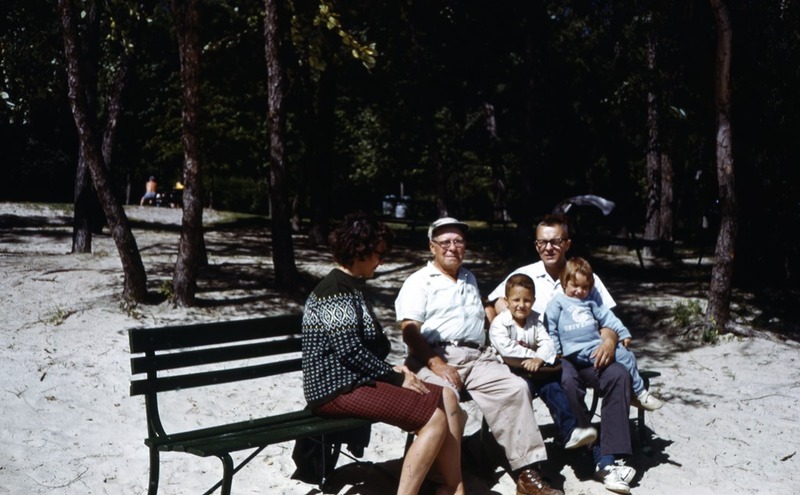 The slides were developed in September 1962 so this picture was probably taken in the summer of 1962. My how the world has changed since then. When I was small the world was huge, it isn’t as big now as it was then. I have the same picture except it’s Jakki or the boys sitting on my lap. There are a couple of me having fallen asleep or resting with the boys lying on my chest. It is the same picture. I think every father has the picture of them holding their children like this. It is a magical moment that is both bonding and reassuring. The child safe in daddy or mommy’s arms. Wow – what a picture. I remember that Green sweater. Mom has her head away from the camera. Sitting next to mom is my grandfather Henry O Andersen. Lynne is on Grandpa’s lap. 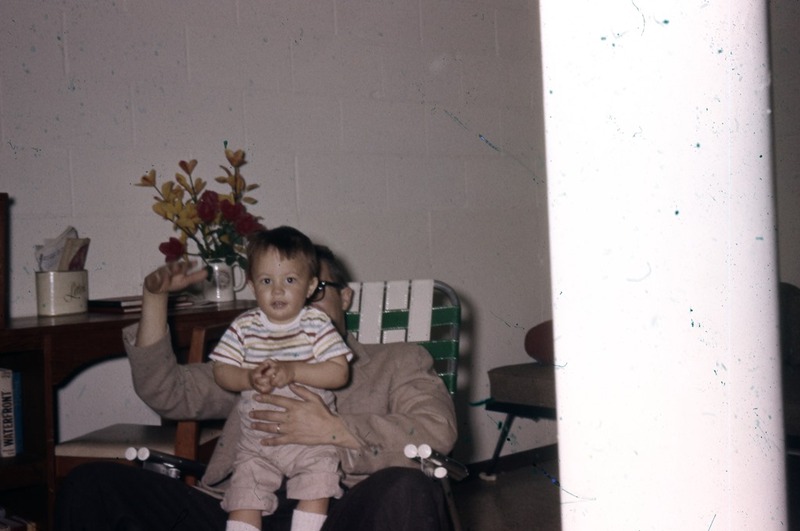 Next to Lynne is me sitting on dad’s lap and last is my father Hans O. Andersen. Our family has a long tradition that every first born male has the middle initial O. We continued that for both boys with a name starting with O. This picture is from 1965. It’s either from Wisconsin Dells or from near where we lived in Chicago. That was the summer before the exodus to Bloomington Indiana. What a happy moment in time. This photo by Henry Ole Andersen. Taken in 1963, This photograph represents my grandfather vision of beauty. Beauty is where the photographer looks and what they capture, in their eyes. Without a doubt a thousand people walk by the moment or the image that the photographer captures they see fleeting beauty. Fleeting beauty that is gone in the blink of an eye. Or captured forever with the click of a camera. Live in the moment, find the piece of the moment that is you and in finding that reach into that piece and become one with the moment. Each flower perfect against the background of fog or the mist of early morning. 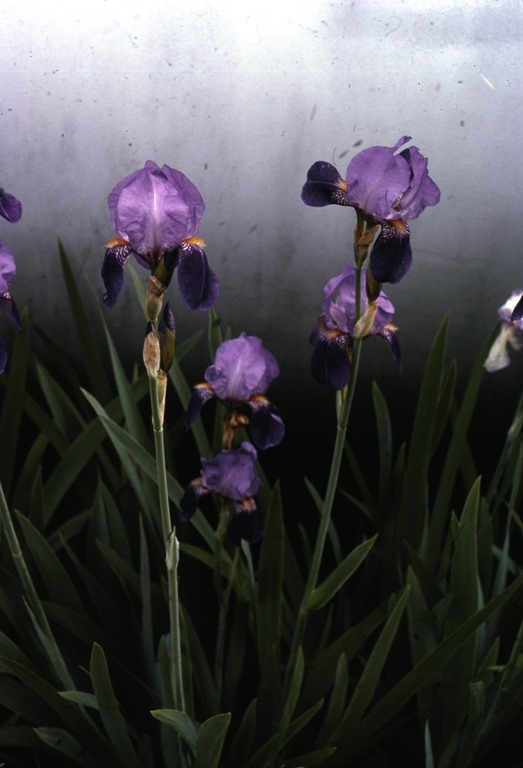 The purple gentle against the green and white background and time don’t forget time. It weaves through this stopped for just the blink of an eye. Yet always marching forward this spot to never be as it is here, but was then and can be no more. That is the gift the photographer leaves behind. Something that was once, but is now and yet can never be again. An almost in the end shifting wind of time. A gentle breeze that stopped by these flowers for a second stopped. Then time marched on to record other things other images. In the end this is the first image and the last image. The image that was, once now more than 50 years ago. A place and time frozen forever on this screen. Another moment. This is my grandmother Andersen sitting. 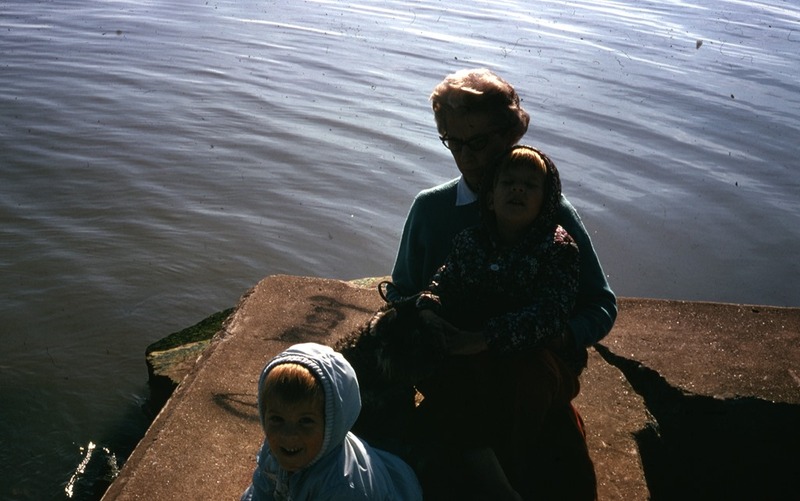 Since it is from 1963 this is either my cousin Kristin or my sister Lynne basking in the sunlight on grandmother Andersen’s lap. What wonderful moment to capture in time forever I just wish I knew who exactly it was. (most likely Lynne based on timing). We could lighten the picture and probably will but for now this is the original as it was scanned from the slide. There are treasures in the family history project we’ve undertaken. Treasures greater than time itself. The greatest gift to leave behind – moments. As we head into the home stretch with the project it is hard to deal with the last slides. We put the years that were my youngest into bags at the beginning of the project and are now getting to those slides. Images from many years ago that now seem small and tiny on this screen but to me are bigger than anything I have or could have. Finally a fading moment of history. Hans O Andersen, me hiding behind him and Lynne in front of us. This is before dad was at Indiana University. When he was starting at Niles West High School in Chicago Illinois. Before he was Dr. Andersen. We would head down to Bloomington Indiana a couple of years after this picture. Barb was born in Bloomington at the end of the 1960’s. We lived initially when we moved there in old WWII Army Barracks converted to graduate housing they were called Hoosier Courts. Dad finished his doctoral degree in one year. He received a scholarship from the NSF to become a teacher of science teachers in the mad rush to improve science after Sputnik and the first man in space not being an American. But this moment belongs to Mom, me and Lynne. Faded around the edges but never slipping away. Our moment in time forever.